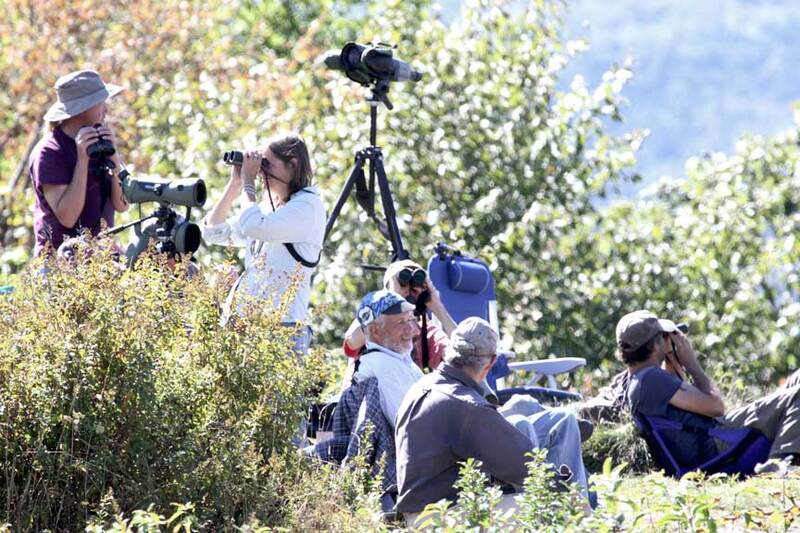 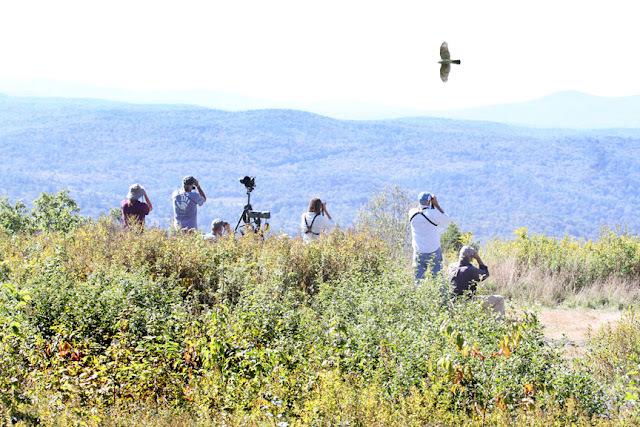 Starting in late August through October, volunteer hawk-watchers count migrating hawks on Putney Mountain. 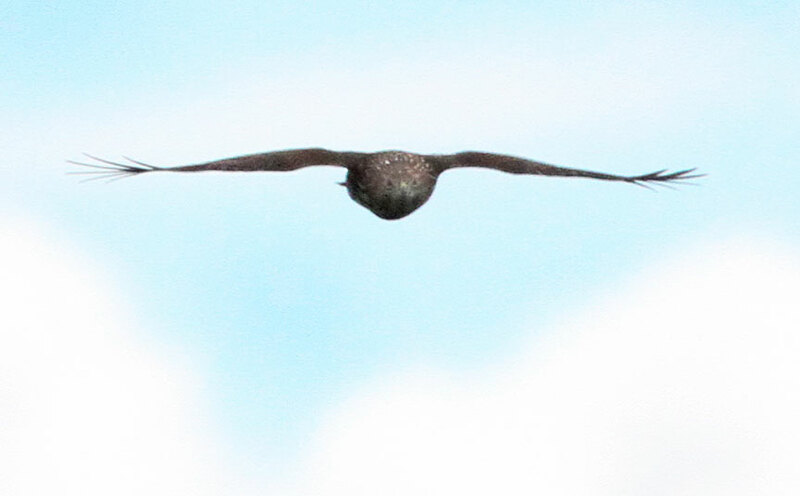 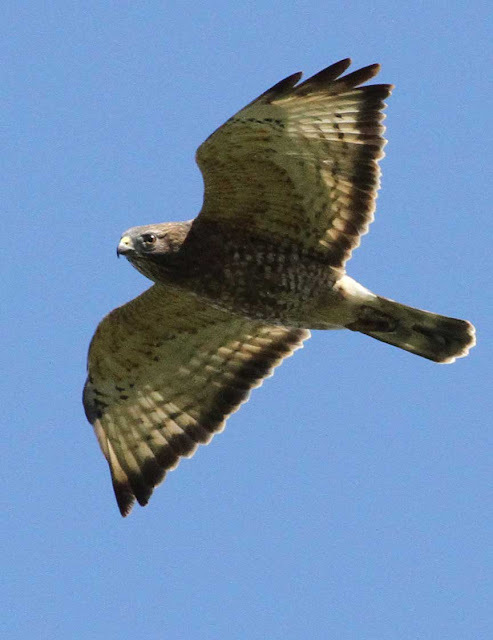 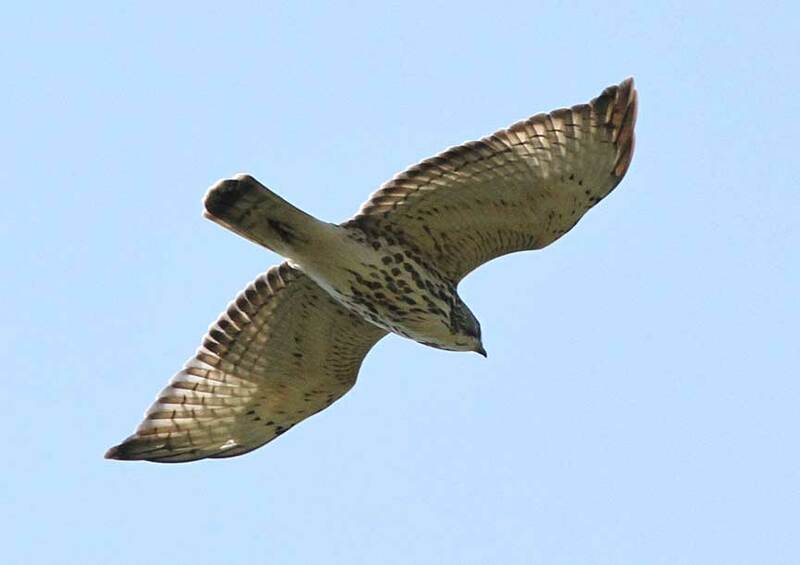 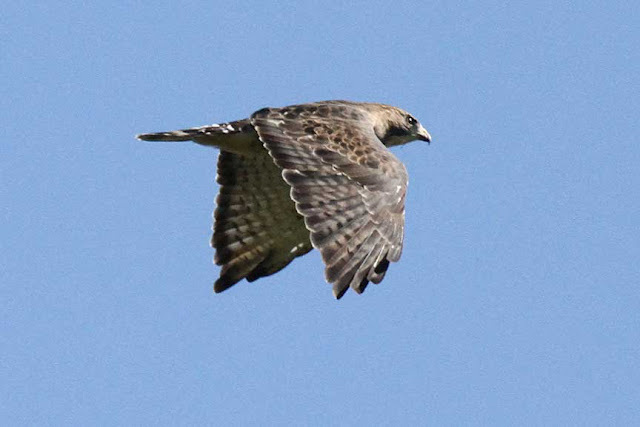 Check out the HMANA site to follow Putney Mtn hawk migration. 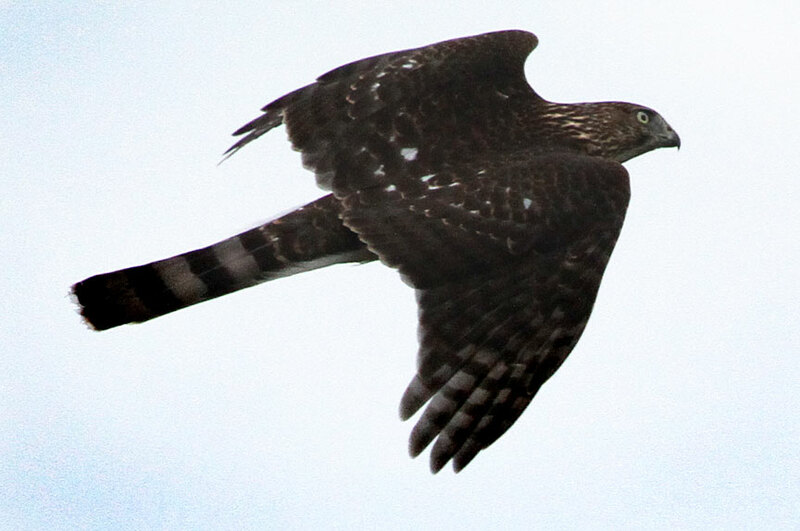 Sharp-shinned hawks greatly out number their bigger relatives. 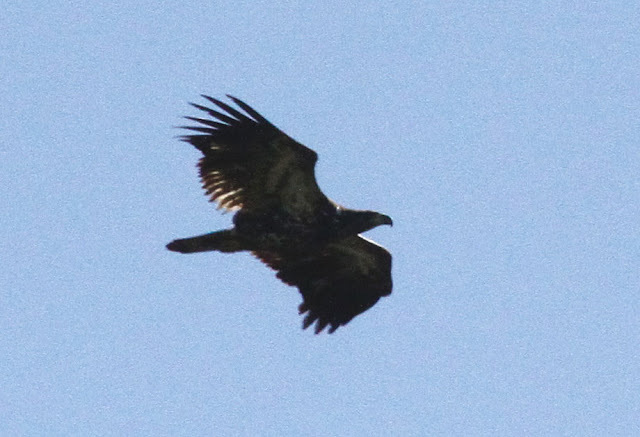 So far, we've had 192 sharpies and 14 coops come through. 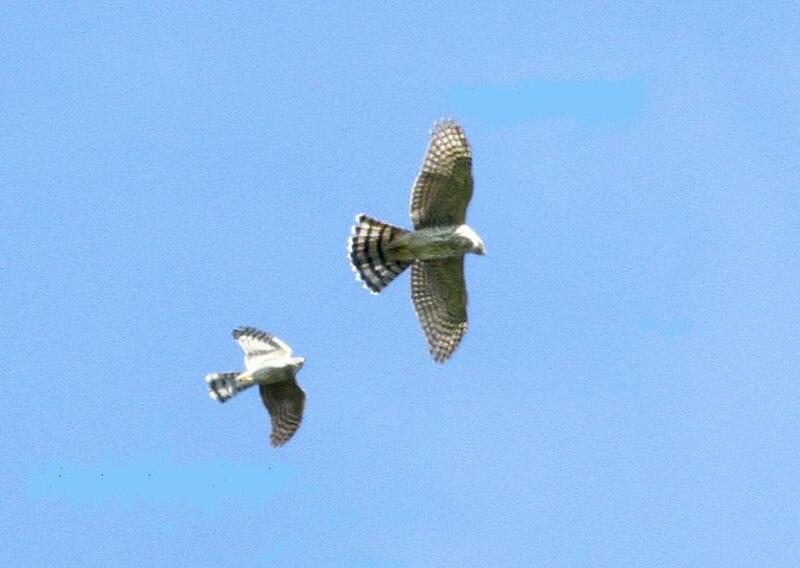 These two, put on a nice sparring match. 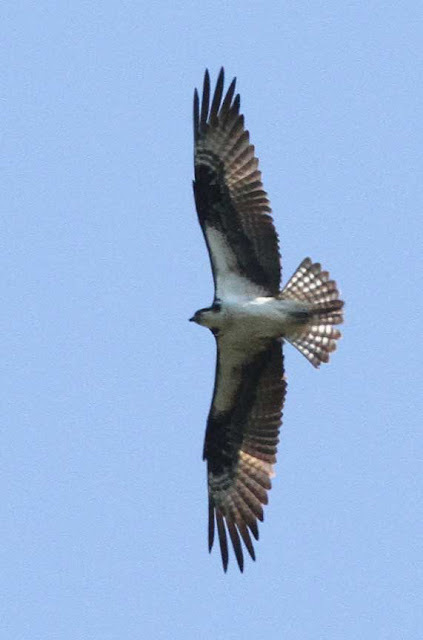 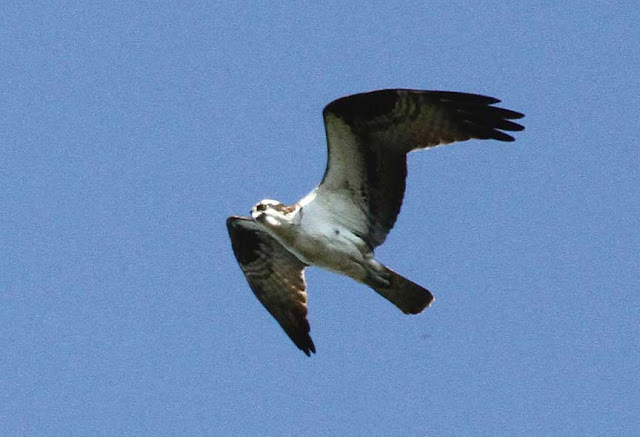 We had 8 ospreys migrating today. we've had 3184 broadies so far this season!! We're all looking in different directions to make sure we don't miss a hawk!